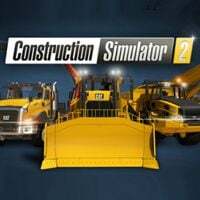 A continuation of the mobile construction simulator with strategy elements, developed by weltenbauer studio from Germany. Construction Simulator 2 takes place in a fictional state in the USA, Westside Plains. Construction Simulator 2, released on AND and iOS, is a construction simulator with strategic elements. The game was developed by weltenbauer studio from Germany. The game takes place in Westside Plains, a fictional USA state. The player's role is to become an owner of a company that builds roads and buildings. There are sixty various missions in total, which require us to repair something most of the time. Everything takes place in a big open world. Players can freely choose their next missions, however, in the beginning of the game we only can choose from the simplest of works. By developing the company and gaining more reputation we can slowly get more complicated, but better paid tasks. Construction Simulator 2, released on AND and iOS, offers thirty-six vehicles that we can drive. The developers got licenses from such popular manufacturers as Caterpillar, Liebherr, Palfinger, Bell, STILL and ATLAS. Each one of the machines is recreated with even the smallest details and their performance is just like their real versions. We must do all construction tasks manually, by operating certain machines. In addition to that there are strategic elements that involve the business aspect of having a company. This requires us to find the right balance between income and expenses. Money is spend not only on new machines but also on upgrading and repairing the already owned ones. Construction Simulator 2 offers good, 3D graphics. Its biggest advantage are the models of the construction machines which are very detailed. The environment also looks better when compared with the previous release from this series, Construction Simulator 2014.